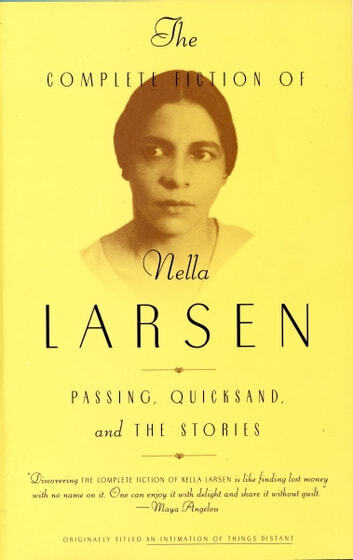 This volume brings together the complete fiction of the author of Passing and Quicksand, one of the most gifted writers of the Harlem Renaissance. Throughout her short but brilliant literary career, Nella Larsen wrote piercing dramas about the black middle class that featured sensitive, spirited heroines struggling to find a place where they belonged. Passing, Larsen’s best-known work, is a disturbing story about the unraveling lives of two childhood friends, one of whom turns her back on her past and marries a white bigot. Just as disquieting is the portrait in Quicksand of Helga Crane, half black and half white, who is unable to escape her loneliness no matter where and with whom she lives. Race and marriage offer few securities here or in the other stories in this compulsively readable collection, rich in psychological complexity and imbued with a sense of place that brings Harlem vibrantly to life.